I have been a member of the Ski Club of Great Britain for around 30 years I guess, maybe with a couple of breaks when I forgot to renew. From the point of view of winter sports in Switzerland, the Ski Club web site is pretty good, with coverage with 51 Swiss Resorts, probably only rivaled by the Swiss Winter Sports web site for depth and breadth of coverage for English speakers. It also has extensive coverage of other countries and other aspects of winter sports. Clearly it is mostly aimed at people in the UK looking for a package holiday, but I find it a great resource. In several resorts the Ski Club also provides guides. You need to be a member and register in advance to ski with them, but I think you can ski with them for one day even if you are not a member of the Ski Club – although they will try to convince you of the benefits. I’ve always enjoyed joining up with the guides (or Leaders as they like to call them). They are amateurs in the sense they are not paid to ski, although their passes and accommodation are paid for. However they are trained, friendly and clearly love their roles. 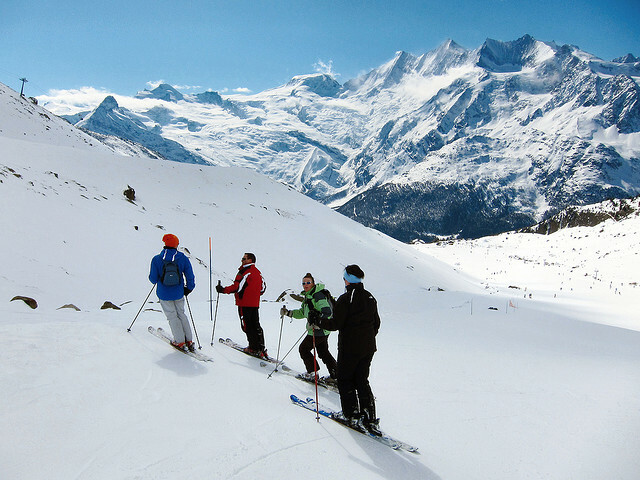 Switzerland has Leaders in eight resorts for most of the season. They are Davos, Grindelwald, Mürren, Klosters, Saas-Fee, Verbier, Wengen and Zermatt. More details are at the Ski Club web site.